When it comes to my hair, I have tried every different style of clip and when I was asked by Donna from Lilla Rose to try the Flexiclip, I was very happy to try it. My hair is thick, unruly and very curly. I have had keratin treatments many times to reduce the frizziness and some clips did not work well for my hair. After viewing the sizing video, I decided to try the extra-small in the Scroll-work butterfly style. The Flexi Hair clip was easy to use and was able to hold my thick hair and did not slip out. I wore it in gym class and It felt very secure. The Flexi Hair clip was lightweight and held better than the other bulky clips that I was using.They have so many styles and sizes to choose from and you will find one that suits your taste. I am very happy with the clip and I am considering becoming a consultant. Check out all of the different types of hair styles that you can do with the flexi hair clip here. Would you like to win one of these great Hair clips (up to $15.00 Value)? You will have to view the sizing video first and then visit the Lilla Rose site and then leave me a comment telling me what style and size Flexi Hair clip you would like to win. Do not forget to leave your email so I can contact you if you win. Like Lilla rose on Facebook. Contest ends on 10/8 @ 11:59pm EST. USA/CAN only. Disclaimer: I was given a free flexi Hair clip for my honest review and I was not compensated for my review. I am interested in winning one of the clips. My size is extra small/small/medium and I like the Hawaiian flower style. I'd like a large Fabulous Fall Flower. Thanks for the giveaway! Liked Lilla rose on Facebook. I like the 2-0977 Simple Danglie Garnet in the medium. I Like Lilla rose on Facebook. I Like Books R us on Facebook. I Follow Books R Us on Twitter. I would like to win the 1-1706 Way-out Peace Sign in a sz.Small. Thank you for the giveaway! I'm very interested in the Small Scrollwork Butterfly (1-0732). 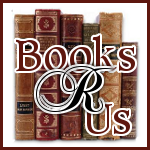 Follow Book R Us on facebook. I would love to have the new October flexi clip (the Jack-o-lantern clip) in a size small. I would choose a large Flexi Clip, and I like the Celtic Cross design! I would love the SIMPLE DANGLIE JET in large.